The new CEO of Vattenfall is a forest man. 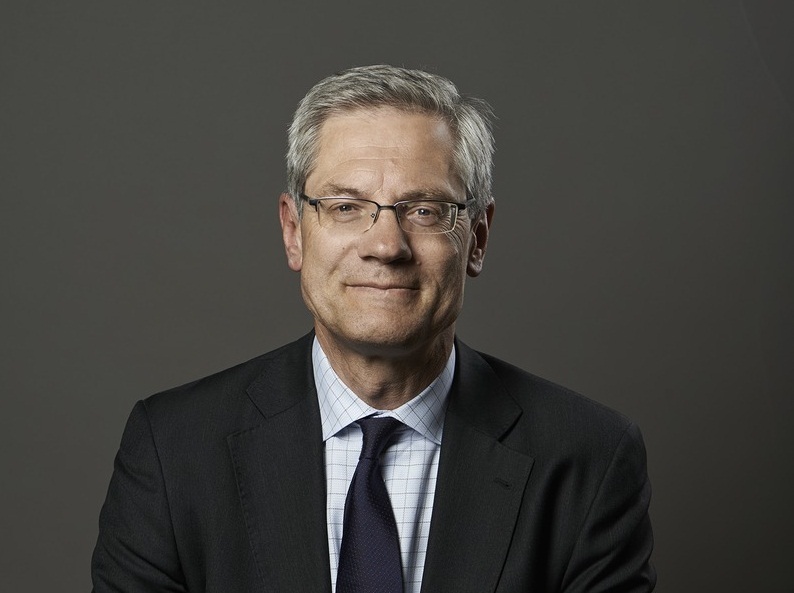 Magnus Hall took over the helm of the Swedish state-owned energy company 2.5 months ago from a 29-year career at Holmen, the Swedish paper and board manufacturer. He was CEO there for the last ten years. Holmen uses a huge 4.5 TWh of electricity per year. “So I’m pretty well versed in the whole energy side of it,” says Hall with a smile at Vattenfall’s Brussels office. He was in Brussels for a Vattenfall event on 4 December on the role of utilities going forward. A group of Swedish teenagers travelled with him with a suite of fresh ideas for energy innovations (our favourite was a smart phone charging film that works when you tap the screen). Hall says he was looking for a new challenge and this job came along. What he brings with him is the experience of how to manage an industry undergoing structural change. Much as the paper and board industry found itself outmanoeuvred by new media, the traditional utilities find themselves rattled by renewables. Hall had to move his company into new businesses, shut down units, keep making money and put a good face on it all. He knows that he faces a similar challenge at Vattenfall: “I don’t think it’s any different in that respect [but] I think the answers are probably less obvious here.” We spoke with him to find out. Q: What do you make of Eon’s change in strategy? A: I don’t particularly want to comment on any competitor but the market is obviously changing. Normally you would look at investments being market risk. Today it’s probably more political risk. That is a change from 10-15 years ago. You have a wholesale price that is not actually the driver of investments any longer. If you look at renewables, the money doesn’t come from the actual energy price, it comes from subsidies. In a market with low demand, that puts pressure on the whole system with the merit order pricing system that we have. It makes it difficult to see how you could invest in conventional generation under these circumstances. We have to get through this. If you look forward, things might change. I think this MSR [Market Stability Reserve proposal] for the ETS [EU Emission Trading Scheme] is a good thing: it could create some predictability which in our view is positive because it will create the basis of the electricity price as a driver of new investment. And the more that comes close to the actual cost of new investment in renewables, the more we come back to a market-oriented system. Q: The Eon’s of this world say they see their future in renewables, distribution and above all customers. Is the same true for you? A: It’s pretty much the same. We haven’t come out with what we will do yet but those are areas where you don’t really expose yourself to wholesale pricing and the market price of energy so for that reason you might look at them for opportunities. When it comes to renewables, of course wind power investment is something we would bring forward. We have just concluded for us quite a big project outside Germany. We have a pipeline of project possibilities which we are determined to run as long as those [subsidy] systems are stable and offer a good return. You can’t build them on market pricing. Q: Yet subsidies are due to go down, if anything, in future. A: There is a discussion about how expensive it is. I think you will see developments but I wonder whether in the coming 10-15 years those systems really will be replaced by a market-based system – it might take more time. Q: Where do you see Vattenfall putting its efforts in the next 5 or 10 years? A: This is the question we haven’t come out about yet. I’m two-and-a-half months into the job and what we’re doing is revising our strategy. We have made one decision already: we’ve started the process of selling the lignite business in Germany. It’s a considerable business: 60 TWh, 8,000 people and about 10% of German energy supply. It’s about one-third of all our electricity production. Q: Why have you decided to get out of lignite in Germany? A: We want to decrease our exposure to CO2. If you look at our charter, we have a very tough sustainability view from our owner [the Swedish State] on how the company should go forward. It is very clearly said that exposure to CO2 has to go down.This move will cut our CO2 emissions from 80 to 15-20 million tonnes. So that’s a 75% emissions cut for taking away 30% of electricity production. We also think that Vattenfall is not in itself a very good owner of these assets. We’re a state-owned company and I think there could be other owners that are better. Q: But who will buy that lignite operation? Ostensibly all of Europe is on a path to greater sustainability. A: Lignite is going to be important for Germany’s energy supply for quite some time to come. Even though you’re building more renewables they will just replace the nuclear which you have to close down. And then you come to next phase: how much renewables can you have and still have a non-black out situation? Perhaps we need storage. If you have energy storage technologies on a big scale, of course you can run huge wind farms, store part of what they produce and then send it back to the grid when the wind dies down. Like that you can have a stable system. But until that’s scaled up and running what do we have? We can run gas, maybe, but it might come from countries we don’t want to be dependent on. Q: The Swedish government has just fallen. New elections are due next March. As a state-owned company, how might that change things for you? A: The state is a very rational owner of Vattenfall, professional and rational. So I don’t foresee very big changes. Sustainability is a very important issue to the owner. And as I see Vattenfall going into the future, the whole set up will be even more sustainable. By this move [out of lignite] we will be reducing our CO2 exposure quite considerably. If you look at Vattenfall’s other operations, they are pretty strong [on that too]. We have developed hydro, we have nuclear (which for climate is a good thing – we have no CO2 emissions at all in Sweden!) and where we have emissions in Germany [apart from lignite] they’re mainly connected to CHP units where we have the highest efficiency. 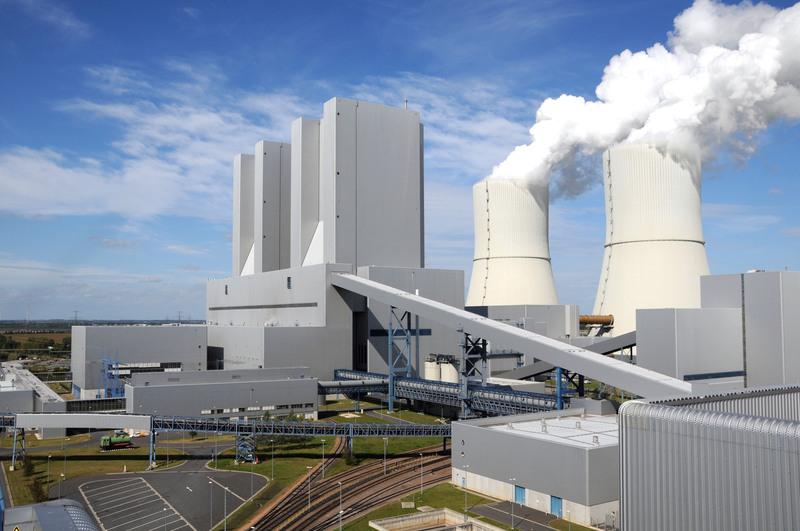 Plus Moorburg, one of the more efficient hard coal plants in Germany because it’s brand new. So we’re actually running the most efficient units where we still emit CO2. 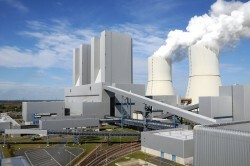 Q: Does lignite have a future in Europe? A: I think that lignite has a future, absolutely. As a business case, [the lignite operations] could very well be kept in the company, but for sustainability reasons we need to be less exposed to CO2. The units we have are fairly efficient. I don’t think the operation as such is a bad operation. Q: You’re losing 30% of your electricity production business with the lignite divestment. What will you replace it with? A: I don’t think we would replace it immediately anyway. Investment will go into renewables.We have a pretty good pipeline of projects in offshore wind (mainly we are in offshore, not so much in onshore). And we will continue to develop that for the years to come. But to replace 60 TWh that’s not going to happen. Q: So you’re shrinking your business? A: We’re shrinking that business in Germany, yes, but we’re also investing in other parts of the business and definitely not moving out of the German market. We think it has interesting potential for the company and, even if we release 8,000 people, it remains the country where we have the most employees. Where we’ve spent most of the money in renewables is in Germany. We’re also spending quite a lot of money revamping the whole heat side – there’s quite some investment in maintenance there at the moment. We’re investing a lot of money in the electricity grid in Berlin. Our biggest investments are in Germany. Q: What about your other important markets, such as the Netherlands? You had to write off big sums there after your acquisition of Nuon. Are you thinking about leaving? A: No, absolutely not. No way, we’re not going to sell Nuon, we’ve never thought of selling Nuon. Yes we wrote off some money there. It was mainly related to the trading side of the company. It’s not that Nuon’s activities are bad – they are not – but of course the price paid at that time was a price expecting a high electricity price where the gas investment in the Magnum [power plant] for instance would be hugely profitable. Of course with the turnaround of the market it turned out to be really bad. So for that reason you can say it wasn’t a good deal but what we need to think about now is how we can develop what we have. We have a good sales operation in Holland, which is under the Nuon name. We also have district heating. We have wind power – we’re the biggest operator of wind power in the Netherlands. So we have some strong businesses. Of course the value has gone down compared to what we paid for it, but there is no reason to sell it. No, we want to keep it. Q: You said earlier that the new drivers of investment are political e.g. subsidies – why not take advantage of capacity markets then? A: We are not in favour. We think that in the short term we should let the market work to reduce over-capacity. We’re afraid that if you introduce capacity payments now you will extend this quite tough period we have. We think it’s better to let the market work at the moment. We are in a market change and it’s good to keep the pressure on that change. Otherwise it will take longer to come back to what we hope is a more market-oriented situation. In the longer term, we may nevertheless need to think about how to incentivise new investments, but whatever solution is found for that, it should be a European solution. Q: What about nuclear? What’s your attitude to that? A: In Germany we’re in a decommissioning state. We try to run that as efficiently and quickly as possible but well, it’s nuclear, it takes time and it costs money. We have a claim against the German government for closing down operations too early – it costs us money so we claim for that, but it’s not something we really talk about. In Sweden we run seven reactors today, fully run them. We have quite a significant tax on those operations in Sweden, prices are pretty low, and we have to invest money in safety issues due to the Fukushima disaster and the stress tests after that. But we have also taken a decision that two reactors, Ringhals 1-2 will run until 2025, so 50 years of operation, and we have extended the operation time for the rest, Ringhals 3-4 and Forsmark 1-3, to 60 years so they will run to 2040-5. We have the green light from the government for that, we just need to build independent cooling. We don’t know yet whether there is going to be any new nuclear in Sweden in the future. First, will we be allowed and second, financially and market wise, I don’t think it makes a lot of sense to talk about it now. We don’t need it – the market is pretty well supplied as it is, there is some overcapacity due to wind coming in and Olkiluoto [the new nuclear power station being built in Finland] will come, even if it’s delayed, so we don’t need to take a decision on new nuclear in Sweden for another ten years probably. Q: So you’re politics-proof in Sweden? A: Well, the risk we see is that the government which has just fallen suggested increasing the nuclear tax. We’re looking at 30% lower prices since they increased it last time! So it doesn’t make sense for us. They put pressure on us. You wonder whether they want to get rid of it [nuclear]. There is a certain risk that with a lot of pressure and low prices, we will have to close something early. That’s not the position at the moment but we will have to monitor this very closely. It would make sense in Sweden to run these plants the full lifetime though and 2-3 years before you start closing them down, inject subsidies to get more wind etcetera coming on stream. To put a lot of pressure to grow wind power at the moment will keep power prices depressed, which is a problem for us of course, running nuclear. Especially because we also have this quite high tax. 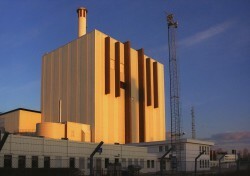 Q: Do you have plans to build new nuclear power plants in Sweden? I read that you did and that those plans were subsequently forcibly put on hold by the government? A: There is a misunderstanding – we had a process of trying to understand under which circumstances you would be able to build new nuclear. We paid 100 million Swedish Krona [around €10 million] to the regulator because you had to apply to find this out – they couldn’t tell you what the demands were unless you made an application. So we did that. That’s in motion, they’re doing it now. But we are in a wait and see position. We have stopped. We were looking at some other things such as land, the possibilities around Ringhals etc. and of course not only for nuclear. We see that if we need to replace nuclear in future, it doesn’t have to be with nuclear – it might be something else like a big gas-fired unit. Just to have a peakload operation. Because if you have a lot more intermittent renewables in the system you need some peakload. And there [at Ringhals] you have all the grid connections, cooling water etc. In some way or other we in Vattenfall feel we have a certain responsibility for electricity supply in Sweden, being a state-owned company and big operator (half the electricity comes from Vattenfall in Sweden; 20% in the Nordic system). I’m quite convinced that if we have a problem with electricity in future, they will point at Vattenfall. We have to realise that’s a fact and plan. Q: What’s your vision for Vattenfall going forward then? A: We will look at options. I think sustainability is going to be a driver for a lot of the business on the energy side in the future, whether it’s making our customers or our production portfolio more sustainable. I think that’s going to be a leading direction for Vattenfall. Q: Are you considering splitting up the company? A: No, that’s no longer an option. We looked at an organisational split into regions where we said we would look to risk-share the continental/UK unit. That’s not on the table any more. We are not going to split the company into two regions and sell out one part. I think there’s a lot of merit in keeping the company together. We came from Nordic to international and any company where you go back to being national, I don’t think the dynamics of that company are going to be exceptionally good. I don’t think it’s the way we should go. A: When I came in the strategy was looking at the division of the company. If you would really go for a risk-sharing situation in the continental/UK business, which means Germany, the Netherlands and the UK, that would mean no more synergies between Nordic and continental operations. That’s a totally different set up. I was prepared for that to be the case, of course, but when I looked at it and see how we cooperate, it’s just not a good idea. The problem that they needed to solve was the CO2 issue and the CO2 issue was actually lignite connected. The continental company contains a lot of different interesting businesses and a lot of opportunities e.g. for expansion in offshore wind. Why get rid of the opportunities? Q: Are you looking to expand into other parts of Europe? A: We are a northern European company and we will probably not expand into southern Europe, but apart from that… we’re open. I think as it looks now the main thrust will be Germany, the Netherlands, the UK and the Nordic countries – Denmark, Sweden and Finland – not necessarily Norway because they have their own big company there. Q: And what about an Eon-style split by activity type? A: If you look at it, what we’re pursuing with the divestment of the lignite side of it, that’s a pretty big change. It’s on a different scale [to Eon] but it could be viewed as a little bit of the same thing. I think it’s exactly the right thing to do. One of these days the people in Europe will realize reducing use of fossil fuels due to concerns about carbon dioxide causing catastrophic global warming is false. All this money and misery for naught. The renewables are not as great as thought as shown by this article “Abundant Clean Renewables? Think Again!” that shows most renewables are polluting and not sustainable. Solar and wind facilities have useful lives of maybe 25 years and then they have to be replaced. We will see the planet covered with junked power plants as was shown by the thousands of abandoned windmills along Insterstate 10 East of Palms Springs, California.